It’s been a snowy week like Tennessee hasn’t seen in decades, so with a couple of extra down-days on my hands I decided to work on a project that’s been on my docket for some time: porting WCGBrowser to a new web-rendering engine. WCGBrowser has been my most popular open-source project by far, and between blog posts I’ve seen and emails I’ve received, it seems to be powering kiosks and signage from New England to the Netherlands, Germany, and Australia. I’ve found it quite useful within my own organization, but it’s Achille’s heel for many years has been QtWebKit. QtWebKit is, basically, dead, and starting to stink a little. Its performance is slow, it’s buggy with some websites, and it tends to leak memory like a seive. The Qt community has been working for the last couple year to integrate Chrome/Chromium’s Blink browser engine into Qt, and recently with the release of 5.4 this new “QtWebEngine” library is now available for me to play with on Arch Linux. So I’ve begun porting the browser to QtWebEngine. It became immediately obvious that this was going to break a lot of things in WCGBrowser, and I’ve been wanting to change the name for a while, so I decided to fork WCGBrowser and start a new project. Yeah, I went full ego on the name. Mostly I just want to avoid a name collision with a commercial browser, since there is a new one being bankrolled by VC every five minutes. That’s just the quick core-features test findings. I haven’t tried all the more obscure features yet. Needless to say, don’t swap your production rig to ADMBrowser just yet. Apart from the WebEngine move, I plan to clean up some of the redundant configuration options and maybe organize things a little better. I’ll also be dropping support for Python 2 (or at least not going far out of my way to support it). Hopefully QtWebEngine will mature quickly, or workarounds will come to light. I can tell already that many rendering and performance bugs from the old WCGBrowser are tidied by by the new renderer. 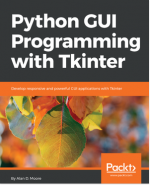 If you’re Python & Qt coder who might be able to help me fix some of these things, please feel free to fork and submit pull requests. Just noticed that Python 3.4 is released as of yesterday. I don’t normally pay much attention to Python releases, since the language more or less has done what I needed for some time; but bringing pip into the default distribution will make Windows deployments a bit easier. The new Pathlib module looks pretty sweet too (no more mucking about with os.path). I removed the default DB file from the source, so if you happen to use the default settings I won’t clobber your database when you “git pull”. Omega Hymnal can initialize a clean database if you don’t have one, or you can reinit your database if you want to start clean. 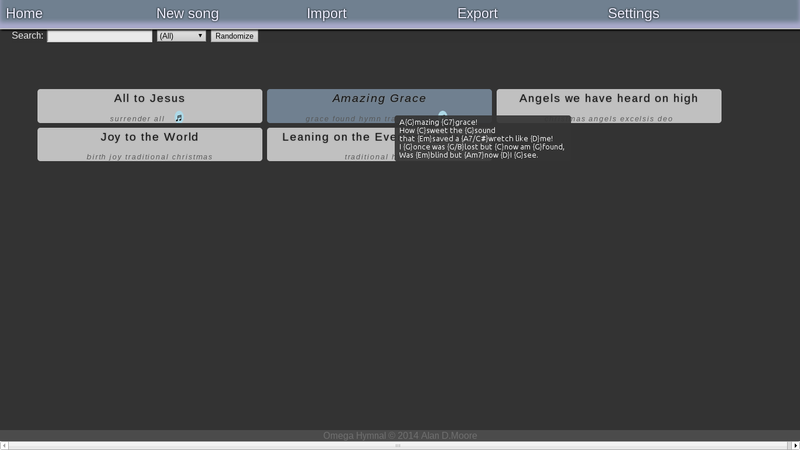 I fixed a lot of nuttiness in the auto-text-sizer on the song screen. It’s more consistent now. 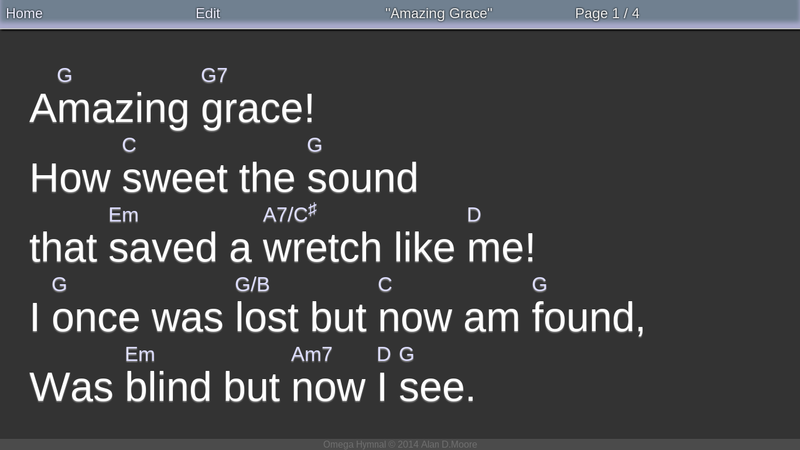 I added the capability to manually insert pagebreaks in the lyrics using the [pagebreak] tag. This is an alternative to manually shuffling things between text boxes. Not sure where to go next, hopefully I can convince some others to start using this and get some good ideas. I’d love to figure out a way that I can make lyrics + chord entry a lot easier and less geeky (the world apparently doesn’t share my love of markup languages), though my ideas so far either go beyond the limits of JS or just over-complicate the problem. 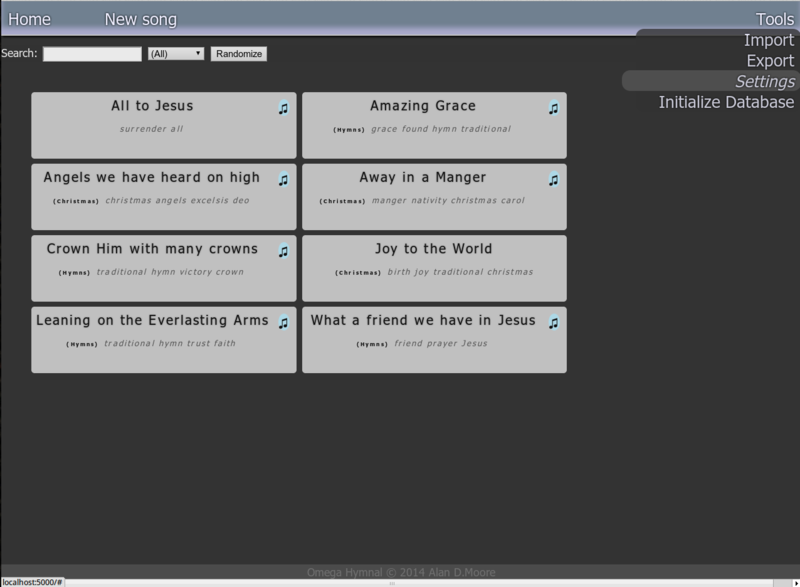 I’d like to announce the availability of a new program that I’ve been writing, Omega Hymnal. 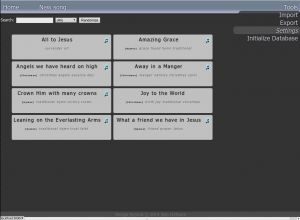 Omega Hymnal is a lyrics display program for informal worship settings. Some time back, I wrote a little utility at work using CherryPy called EasyLIFT. The idea was to reduce the number of large files that were being sent as email attachments without having to resort to the tedium of setting up FTP accounts or a big complex CMS system. EasyLIFT allowed users to login through their LDAP credentials, upload a file to a public-facing web server, and dispatch an email with the download location to recipients. The interface was minimal and quick to use, and was a real success at work. Recently, I was looking for an open source project to keep my coding skills sharp, so I decided to do a clean re-implementation of the EasyLIFT idea using Flask instead of CherryPy. I dubbed the project LIFTS for “Large Internet File Transfer System”. No, we aren’t transferring “Large Internet Files”, or transferring Files over the “Large Internet”, but ILFTS is kind of goofy and not memorable, so there you have it. The project is fairly young and not fully functional yet, but if you’re interested in pitching in or just checking it out, head on over to github and grab it from the repo: https://github.com/alandmoore/lifts. More news to come, hopefully! Python Code completion in Emacs — at last! I’ve been coding Python in Emacs for years now, and for the most part it’s been a satisfactory experience. After experimenting with various python modes and utilities, I’ve had a pretty good environment that marries Emacs editing to syntax highlighting, real-time error highlighting, the ipython shell, linting tools like pylint and pep8, and various other goodies. But the one hole, the one sore spot in the whole works, was code completion. Something even idle can do out-of-the-box was simply beyond my ability to get functional in Emacs. I’d tried just about every solution the internet could offer: PyMacs, company-mode, anything-mode, ipython completion, standard autocomplete-mode. Everything I tried either gave unacceptable results (like autocomplete-mode, which just scans the current buffer for completion information), or just flat-out didn’t work no matter how many tutorials I followed. Here lately I’ve been trying to work a lot more on my Pythoning, so I decided to see if the state of the art has caught up with this need. Echo base, I’ve found it. Repeat: I’ve found it.